5.9 Any medical practitioner authorized by the TPA/ Company shall be allowed to examine the Insured Person with / without prior notice in case of any alleged injury of Disease requiring Hospitalisation when and so often as the same may reasonable be required on behalf of the TPA / Company. 5.10 FRAUD / MISREPRESENTATION / CONCEALMENT: The Company shall not be liable to make any payment under this policy in respect of any claim, if such claim be in any manner (intentionally or recklessly or otherwise) misrepresented or concealed or involve any non disclosure of material facts or making false statements or submitting fake bills whether by the Insured Person or Institution / Organization on his behalf. Such action shall render this policy null and void and all claims hereunder shall be forfeited. Company may take suitable legal action against the Insured Person / Institution / Organization as per Law. 5.11 CONTRIBUTION: If at the time when any claim arises under this policy, there is in existence any other insurance (other than Cancer Insurance Policy in collaboration with Indian Cancer Society) whether it be effected by or on behalf of any Insured Person in respect of whom the claim may have arisen covering the same loss, liability, compensation, costs or expenses, the company shall not be liable to pay or contribute more than its rateable proportion of any loss, liability, compensation, costs or expenses. The benefits under this policy shall however be in excess of the benefits available under Cancer Insurance Policy. 5.12 CANCELLATION CLAUSE: Company may at any time, cancel this Policy by sending the Insured 30 days notice be registered letter at the Insured’s last known address and in such an event the Company shall refund to the Insured a pro-rata premium for un-expired Period of Insurance. (such cancellation by the company may be for reasons such as intentional misrepresentation / malicious suppression of facts intended to misleading the insurance company about the acceptability of the proposal, lodging a fraudulent claim and such other intentional acts of the insured / beneficiaries under the policy). The Company shall, however, remain liable for any claim which arose prior to the date of cancellation. The Insured may at any time cancel this policy and in such event the Company shall allow refund of premium at Company’s short period rate only (table given here below) provided no claim has occurred during the policy period up to date of cancellation. 5.13 ARBITRATION CLAUSE: If any dispute or difference shall arise as to the quantum to be paid under the policy (liability being otherwise admitted) such difference shall independently of all other questions be referred to the decision of a sole arbitrator to be appointed in writing by the parties or if they cannot agree upon a single shall be referred to a panel of three arbitrators, comprising of two arbitrators, one to be appointed by each of the parties to the dispute/ difference and the third arbitrator to be appointed by such two arbitrators and arbitration shall be conducted under and in accordance with the provisions of the Arbitration and Conciliation Act,1996. 5.14 DISCLAIMER OF CLAIM: It is also hereby further expressly agreed and declared that if the TPA/ Company shall disclaim liability in writing to the Insured for any claim hereunder and such claim shall not within 12 calendar months from the date of such disclaimer have been made the subject matter of a suit in a court of law, then the claim shall for all purposes be deemed to have been abandoned and shall not thereafter be recoverable hereunder. 5.15 PAYMENT OF CLAIM: The policy covers illness, disease or accidental bodily injury sustained by the insured person during the policy period any where in India and all medical / surgical treatment under this policy shall have to be taken in India and admissible claims thereof shall be payable in Indian currency without any interest thereof. a) Payment of claim shall be made through TPA to the Hospital / Nursing Home or to the Insured Person in case policy is serviced through TPA. b) In non TPA case the claim shall be paid to the insured person by the Company. 6. COST OF HEALTH CHECK: The Insured shall be entitled for reimbursement of cost of Health check up undertaken once at the expiry of a block of every four continuous claim free underwriting years provided there are no claims reported during the block. The cost so reimbursable shall not exceed the amount equal to 1% of the average sum Insured during the block of four claim free underwriting years. 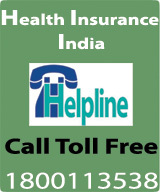 Both Health Check-up and No Claim Discount provisions are applicable only in respect of continuous insurance without break. 7. 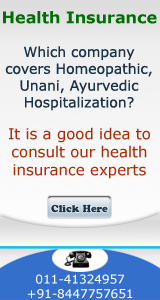 PERIOD OF POLICY: This insurance policy is issued for a period of one year.